Welcome to Royal Palms 1202! 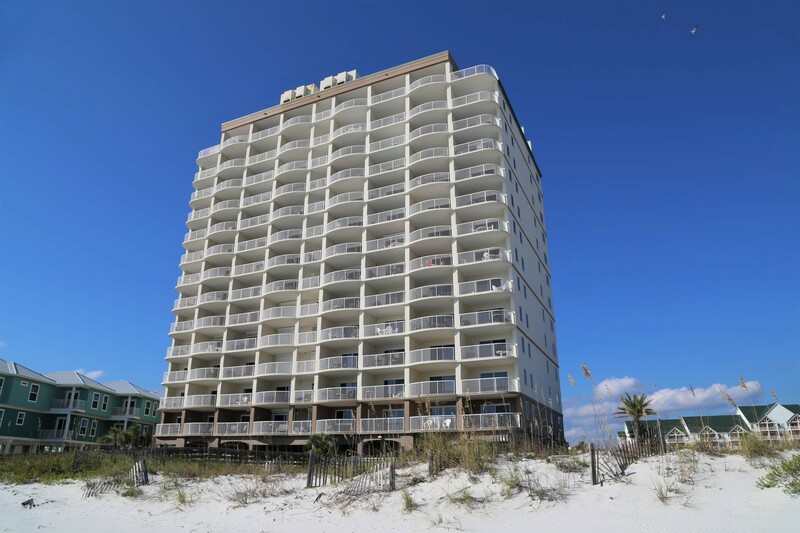 Direct gulf front and ideally located on the 12th floor offers captivating coastline views of the emerald gulf water and sugar white sand beaches. 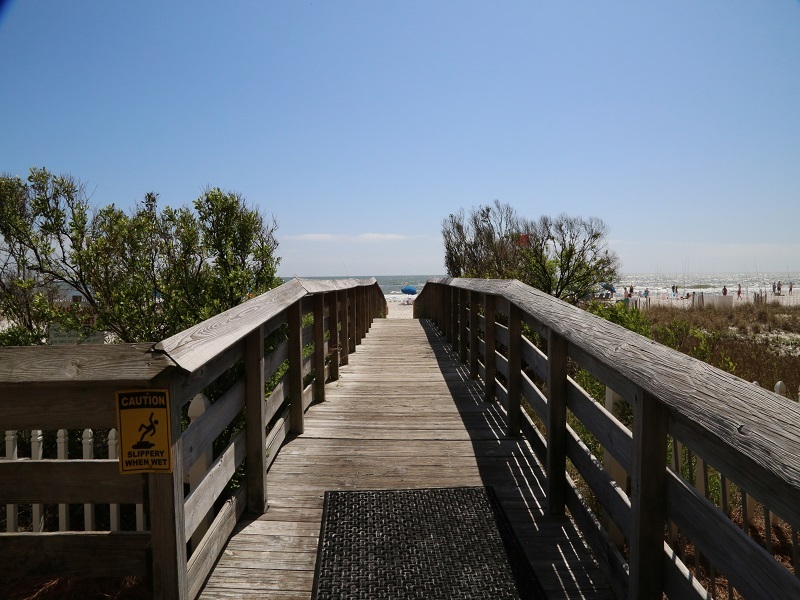 1BR/2BA beach front condo is fully tiled with enhancements of granite counters and new faucets in kitchen & bathrooms. Plush, upgraded king mattress ensures a good nights rest. Stream your favorite shows on the new 49" 4K UHD Smart / Roku TV located in the living room! Simply login with your user account, kickback, and enjoy. Well-appointed kitchen includes quality appliances, recently replaced refrigerator, ice maker, Keurig Coffee Maker, and Regular Coffee Maker. Enjoy the convenience of a washer and dryer, too! 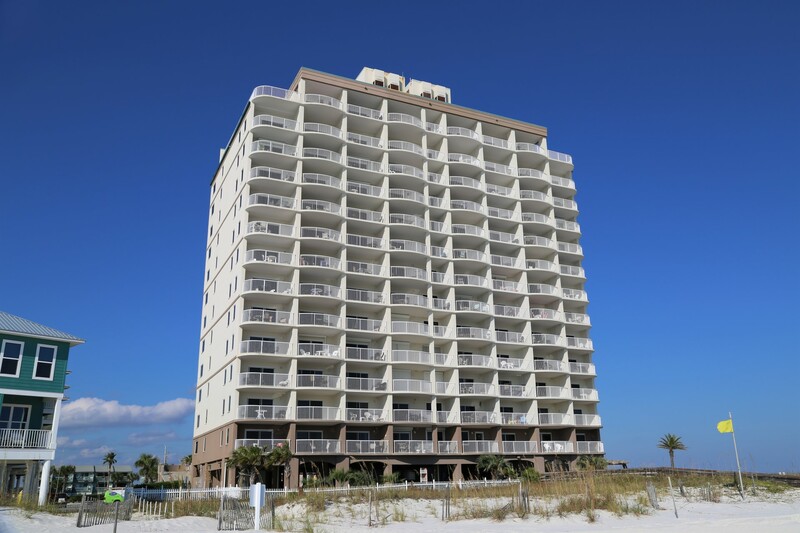 Royal Palms in Gulf Shores is a prime location along Alabama's gulf coast on scenic East Beach. 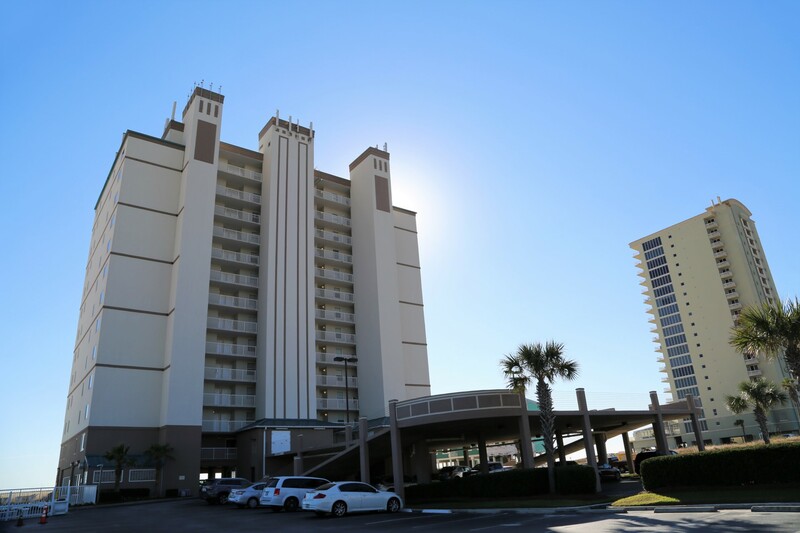 Directly on the beach, and easy walking distance to the center of town, and the closest condo to Gulf State Pier! Approx 1 mile from the Hangout and other attractions. 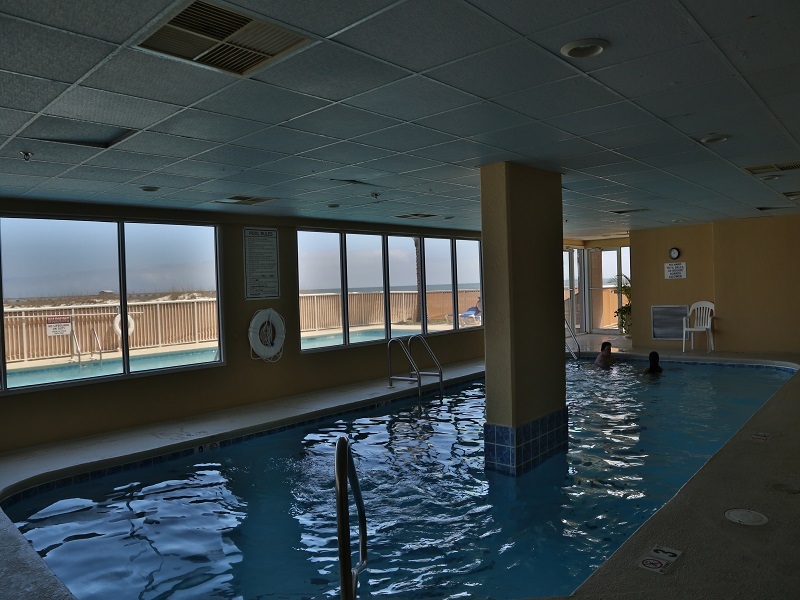 Onsite amenities include a coded-entry indoor heated pool and hot tub, outdoor pool, fitness room, sauna and steam room. Restroom located by the fitness center. 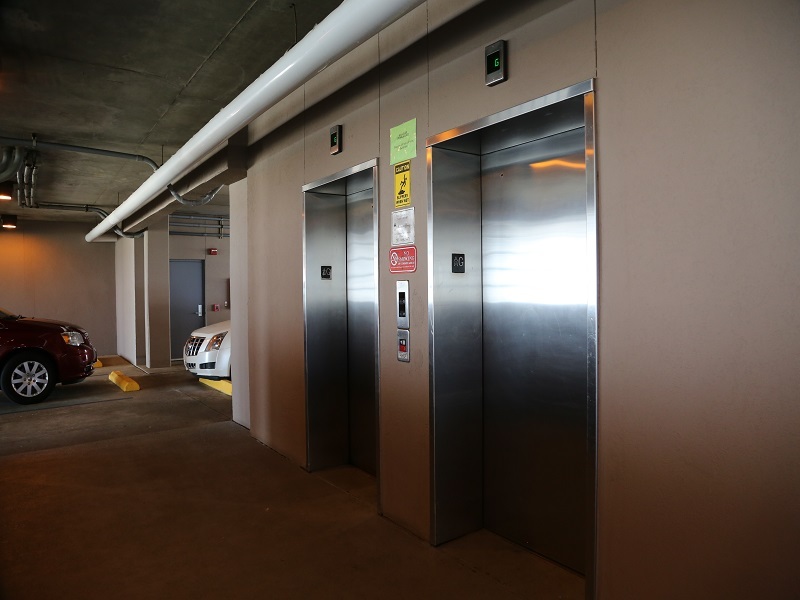 Building has two elevators. 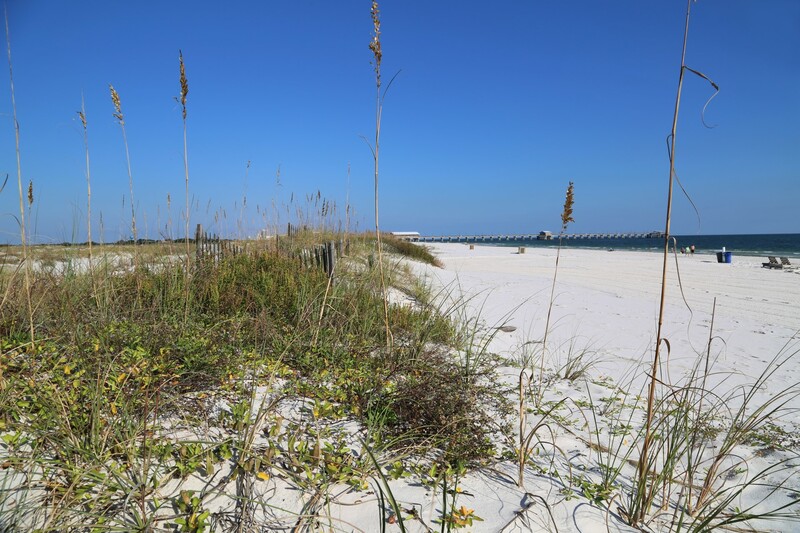 Gulf Shores Alabama Beach Front Vacation Rentals hosted by Gulfsands Rentals. 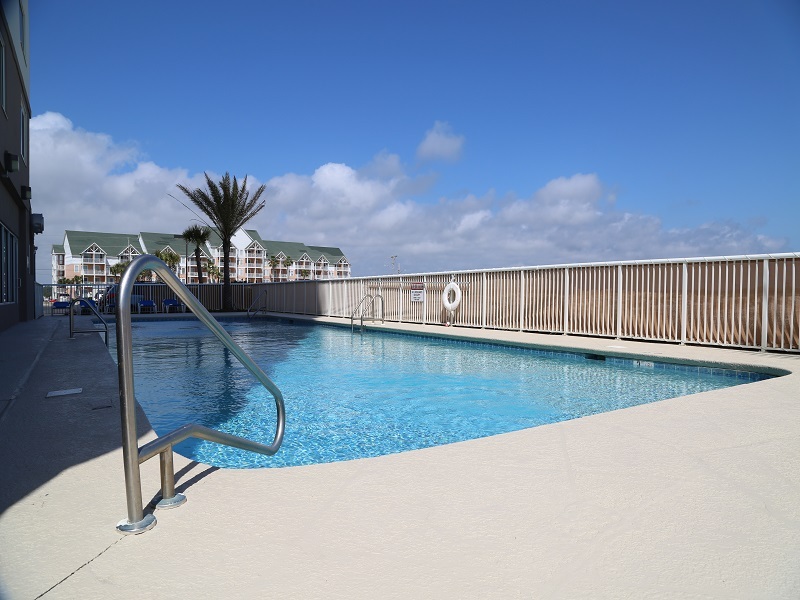 Royal Palms Gulf Shores reserve online or by phone today! Property had easy access, great location and quiet. 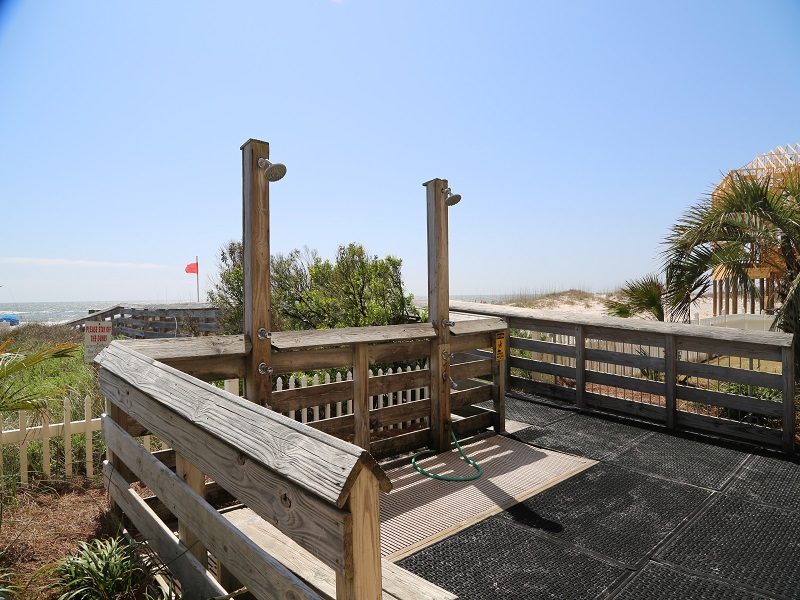 The location is the best part of this condo! Directly on the beach with ocean views. The condo kitchen that has a reasonable number of tools and necessary items. Only salt and pepper is provided so bring your own spices if needed. 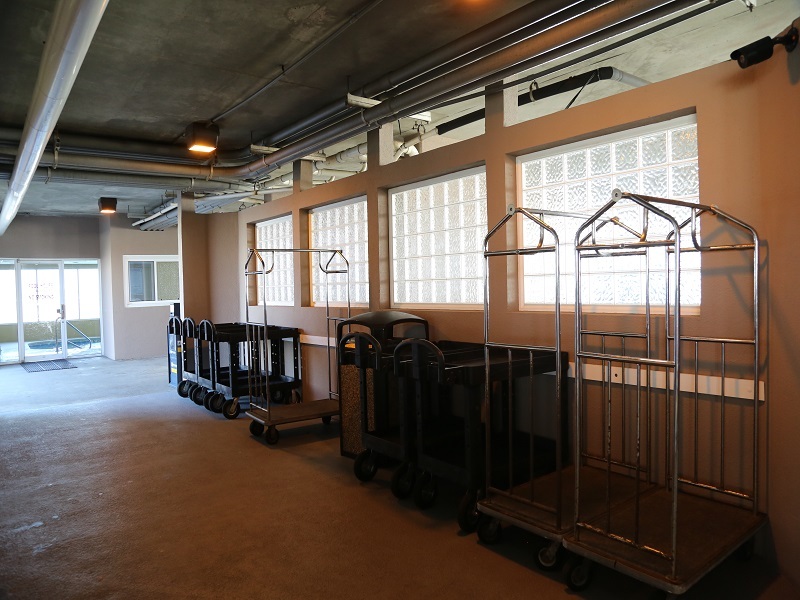 There is an open room on the ground floor with beach toys and chairs that appears to be shared by residents and guest. It was a pleasant week of sun, rain and beach activities. Only had one maintenance issue that was related to a lightening strike. It was quickly resolved by the local power company. Overall, nice home base to see the area. Would rent this condo again. Excellent location, stay, and staff!! 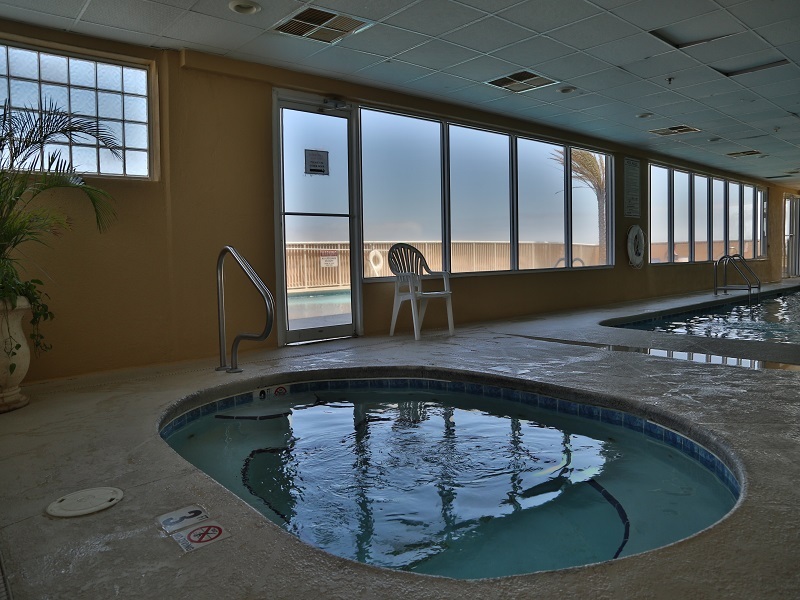 I rented from Gulfsands Rentals, condo Royal Palms 1202. Although the accommodations were sufficient, they were not as advertised. To begin, we were under the assumption, based on the listing descriptions, that our condo 1202 was penthouse level. Upon arrival we were the last floor before penthouse, but the view was amazing. This condo is listed to sleep 6 people. The accommodations read king size bed, sofa sleeper and two bunk beds. Specifications should have said children size bunks. The fold out still had plastic on the mattress and sounded like sleeping in a bag of potato chips. The couch was more comfortable to sleep on as a sofa. The first two showers that were taken in the hall bathroom were ice cold, as turning the knob to H made the water remain cold leading us to believe the hot water heater was broken. Upon calling Gulfsands Rental, we were informed that the hot/cold was reversed, meaning H was cold and C was hot. The exact words of the agent were, "Oh, that is reversed, try keeping the knob on cold." There was nothing posted to this affect in the bathroom, even though this as a known issue by the rental company. In the master bedroom, the ceiling fan was not working. When calling the rental company they stated it worked only with a remote of which there was not one. A maintenance request was put in. When the guy showed up to look at it he said the motor was blown and he would have to either order a new part or a new fan. It was not fixed during our 5 night stay. We called on day one about the fan. Other minor issues were the floor was not clean when we arrived, the wifi connection was unreliable and when eating, the only place for multiple people to eat was on the balcony, 3 deep on the soft or perched on the most uncomfortable bar stools ever created. To sum up the review, the rental company should have been more forthcoming about known issues prior to booking. We feel we did not get what we paid for. Bright living room with direct access to the private balcony. Enjoy your morning coffee while viewing the sparkling coastline. Bar seating and fully equipped kitchen!